CANNABIS AND COCAINE are the most common additional drugs used by people seeking treatment for alcohol dependency. Some 7,350 cases of alcohol dependency were treated in Ireland in 2017, down from 7,643 cases in 2016. One in five cases involved polydrug use – meaning the person was being treated for problem use of more than one drug. The figures were released by the Health Research Board (HRB) today. The number of cases involving polydrug use remained relatively stable during the period in question – 20% in 2017 and 19% in 2011. Cannabis was the most common additional drug used. The number of such cases reported declined steadily from 68% in 2011 to 58% in 2016, but increased slightly to 61% in 2017. Cocaine was the second most common additional drug recorded. This has increased from 29% in 2011 to 42% in 2017. In 2017, cocaine as an additional drug was more common among males (44%) than females (34%). Benzodiazepines were the third most common additional drug reported (23%). The proportion reporting benzodiazepines as an additional problem increased from 22% in 2011 to 29% in 2016, and then decreased to 23% in 2017. In 2017, opiates as an additional drug are more common among females (21%) than males (12%). Responding to the figures, Dr Darrin Morrissey, Chief Executive at the HRB, said alcohol “remains the main problem drug that people enter treatment for in Ireland”. In 2017, the median age at which cases first started drinking was 16 years, similar to previous years. Almost three-quarters (72%) of all cases were alcohol dependent. The proportion of previously treated cases who were alcohol dependent increased from 68% in 2011 to 79% in 2017. In 2017, 74% of males treated were alcohol dependent, compared to 68% of females. 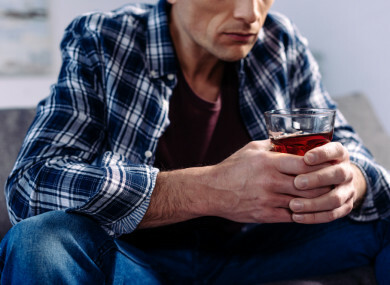 Dr Suzi Lyons, Senior Researcher at the HRB, said there has been an increasing trend in the percentage of new cases who are already dependent on alcohol when they present to treatment for the first time, up from 50% in 2011 to 68% in 2017. This means that more people are presenting when the problem is already severe which makes treatment more complex and recovery more difficult. Lyons added that the annual reduction in cases being treated in 2017 could be the result of a number of factors such as a decrease in the number of submissions to the reporting system and availability of services, or a real decrease in numbers seeking treatment. The median age of people treated in 2017 was 41 years and almost two-thirds of cases were male (65%). Members of the Irish Travelling community represented 1.6% of all cases. Over half (52%) of cases involved unemployed people. The proportion of cases that were homeless increased from 6% in 2011 to 8% in 2017. In 2017, a higher proportion of males (10%) were homeless than females (5%). Almost one-third (32%) of females were aged 50 and over, compared to one-quarter (25%) of males. The median age of treated cases was higher for females (43 years) than males (40 years). This is reflected in the median age for new cases entering treatment – 38 for males and 43 for females. The HRB compiles this annual report by analysing data from multiple treatment services across Ireland and the National Drug Treatment Reporting System. Each case relates to a treatment episode, not a person. This means the same person could be counted more than once in the same calendar year. Email “Cannabis and cocaine are most common drugs used by people seeking treatment for alcohol abuse ”. Feedback on “Cannabis and cocaine are most common drugs used by people seeking treatment for alcohol abuse ”.